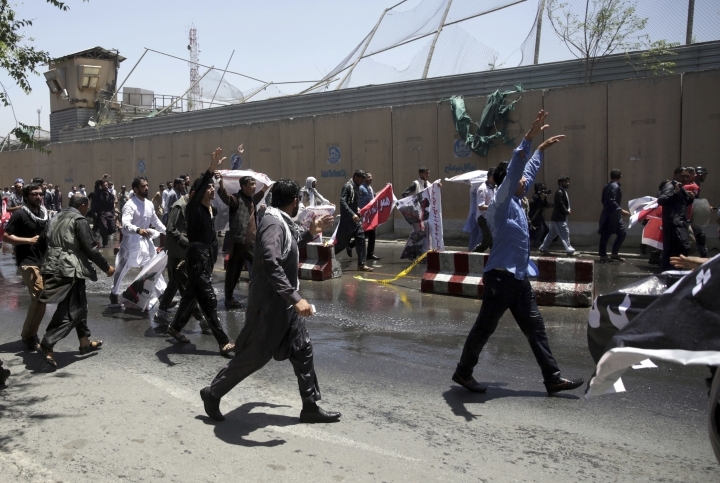 More than 1,000 people demonstrated as Afghans mourned the victims of a massive truck bomb that also wounded more than 450 on Wednesday. 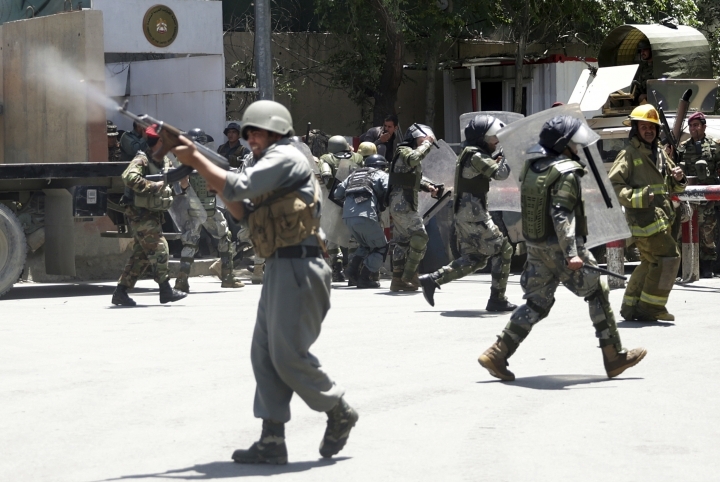 It was one of the worst extremist attacks since the drawdown of foreign forces in 2014 and raised fears about the government's ability to protect its citizens nearly 16 years into a war with insurgents. 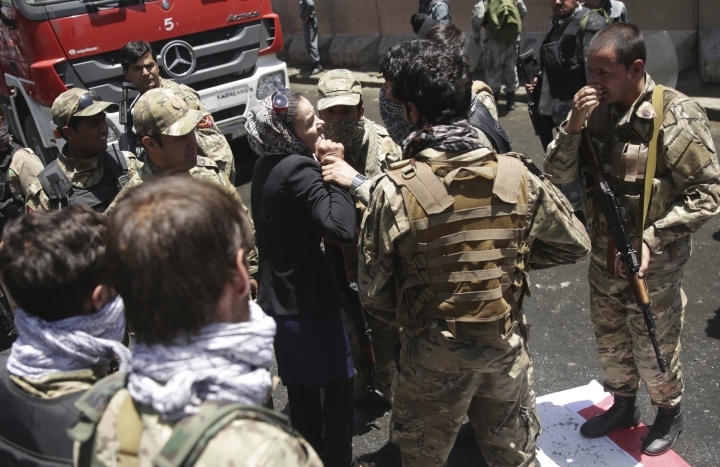 Police fired their weapons — into the air as a warning at first— as about a hundred of the demonstrators rushed toward them, some throwing rocks. 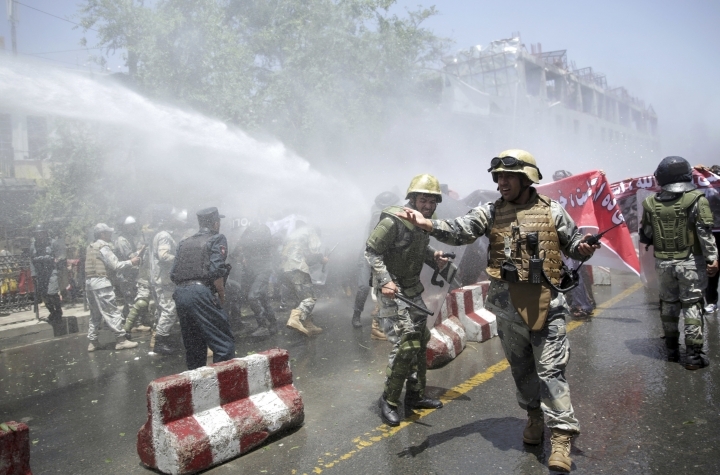 As the protesters attempted to move closer to the Presidential Palace, police sprayed them with hoses from a water tanker and later fired tear gas. 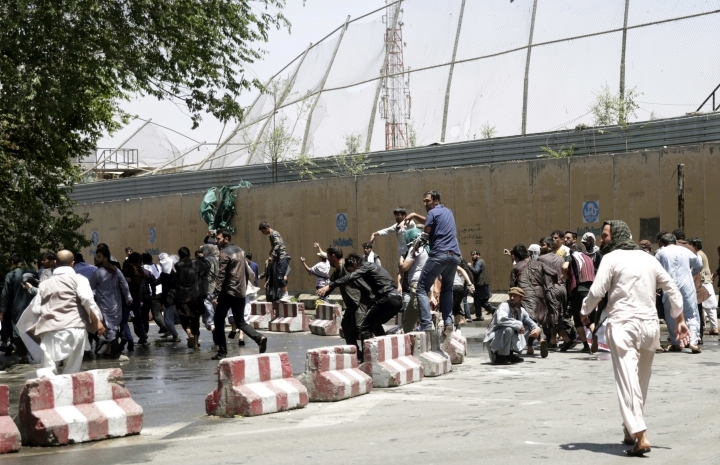 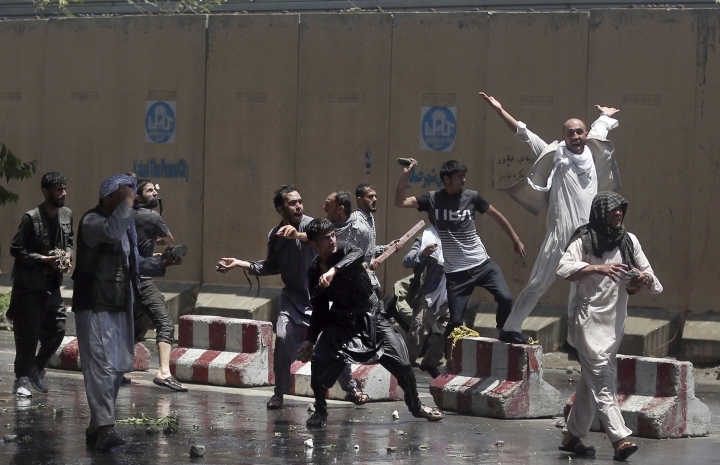 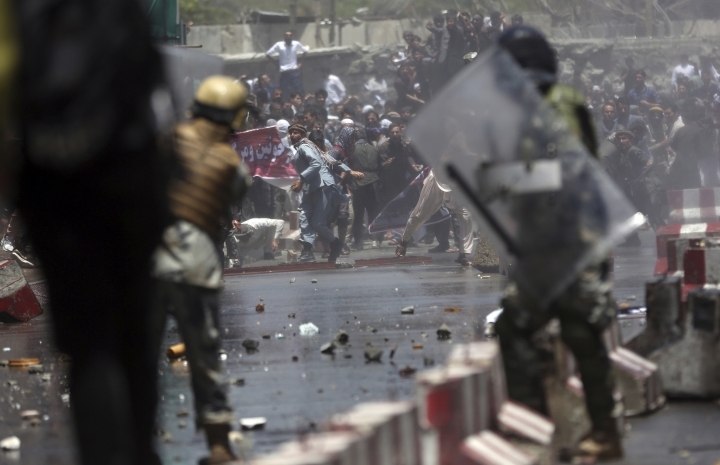 "We are calling on President Mohammad Ashraf Ghani to resign," he said. 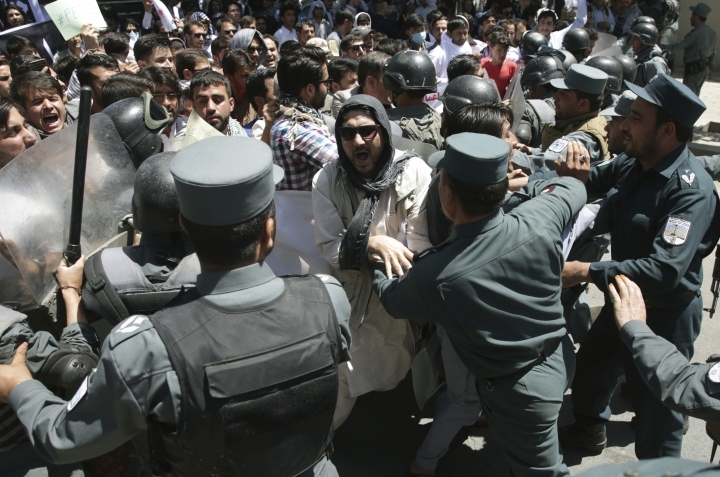 Demonstrators also called for Chief Executive Abdullah Abdullah to step down. 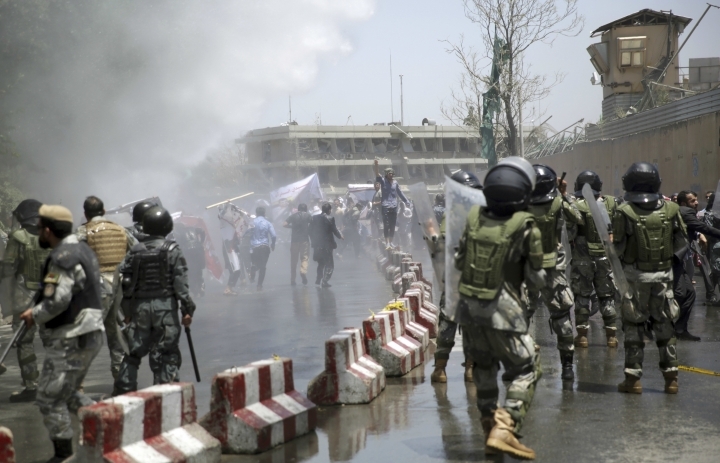 Ghani's office issued a statement expressing condolences for the families of people who died in the protest but urged protesters not to allow "other opportunists" to use their demonstrations as an opportunity for violence for their own goals. 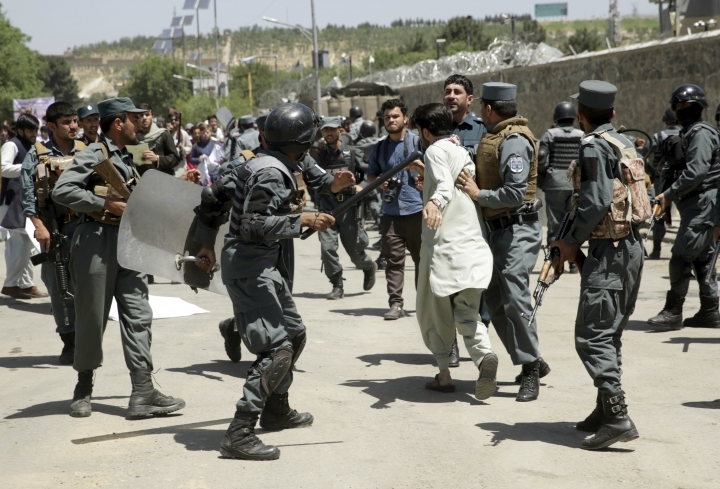 "The government of Afghanistan assures that the culprits of crimes against people will be brought to justice and also the leadership of the government promises that all those security officials who have neglected in their duty to provide security for the people will be punished in accordance to the Afghan laws and will be brought to justice," the statement reads. 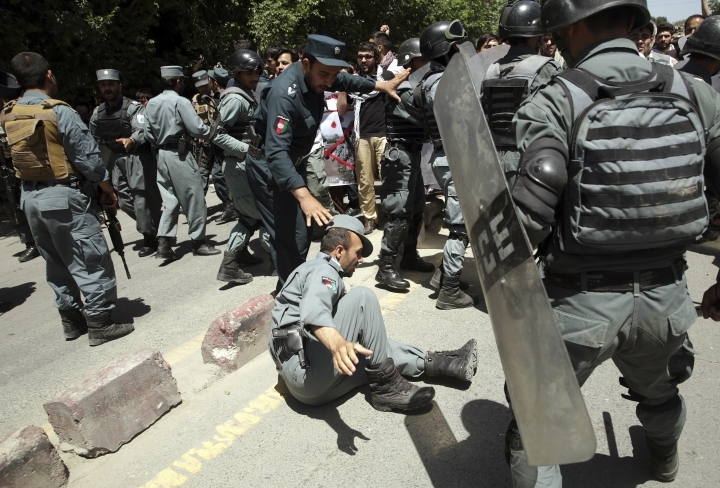 "Some of them were beaten by police with sticks and some others detained," he said. 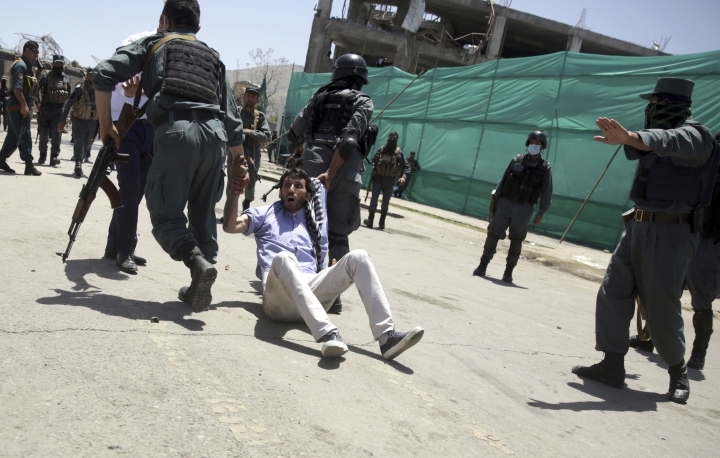 "This act of police and government proves that peaceful demonstration would not be useful anymore." 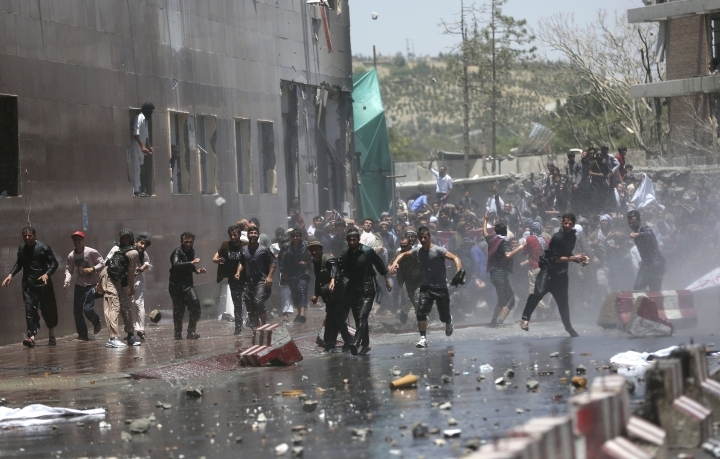 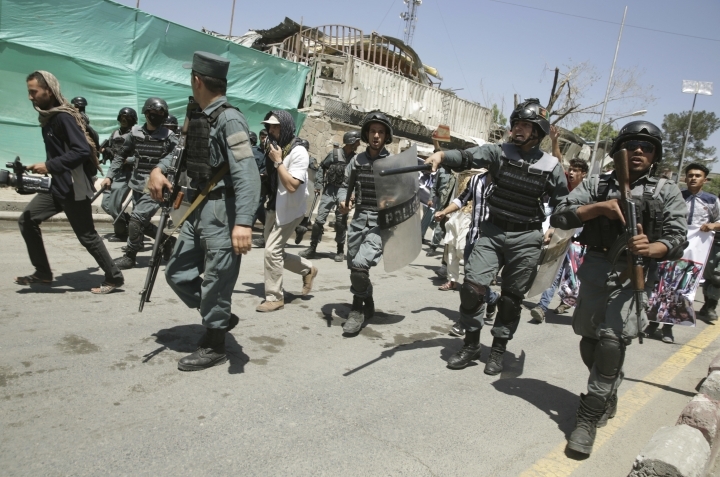 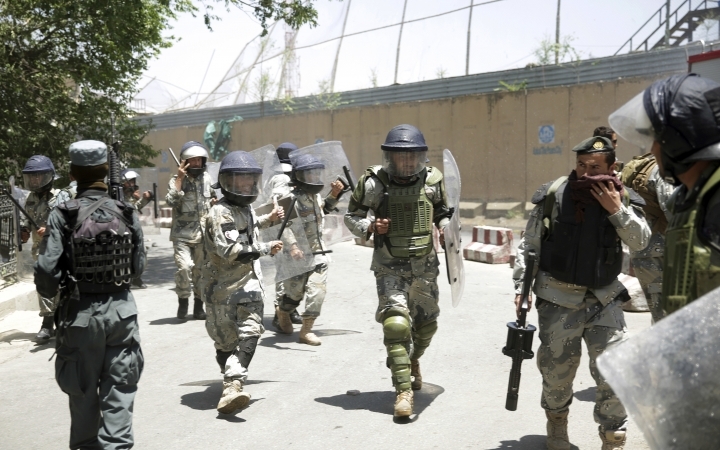 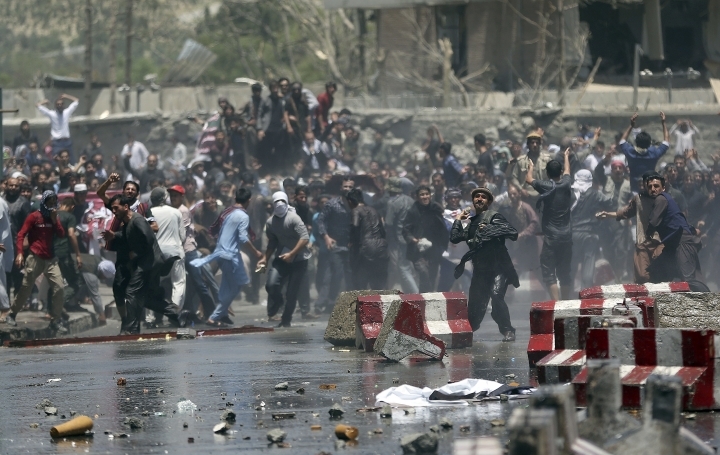 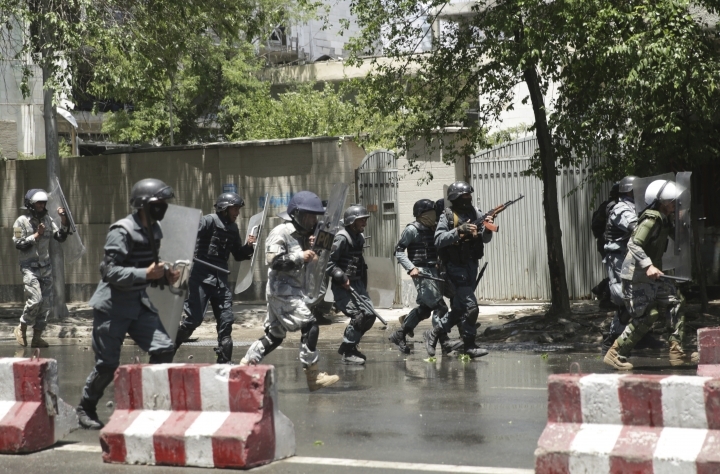 Associated Press writer Ahmad Seir in Kabul contributed to this report.